Take out 2.0. 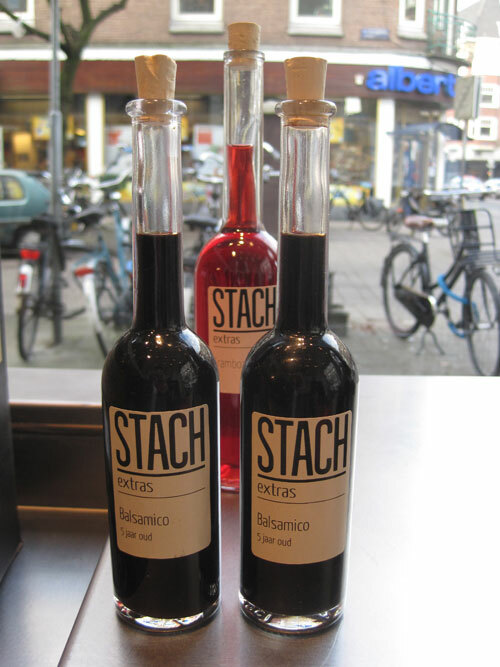 That’s what STACH in Amsterdam is all about. Forget the greasy pizza, oily Chinese food or plain squishy fries and the guilt right after. If you’re the type that ‘doesn’t cook’ because you have a ‘busy’ life, let STACH come to the rescue. Small bites, salads, entire Indonesian rijsttafels, cheese platters, meatloaf, pizza’s, wine… they have it all. Everything is fresh and the staff is super nice. You get everything wrapped in a cool newspaper. 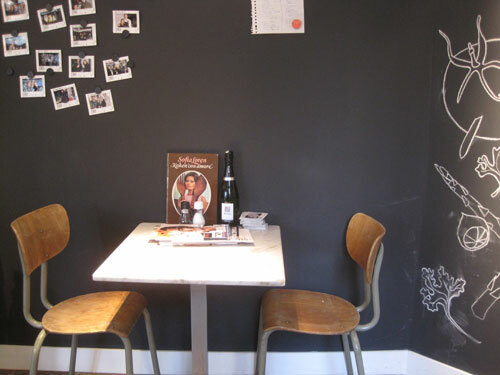 If you’re too hungry to wait until you get home, you can have a seat upstairs and eat your meal right there and then. STACH just took take away food to a whole new level.